While it does feel a bit early to be writing about Christmas, we are now half -way through November, most of the ski resorts have opened and we can see snow on the mountains and I can definitely feel the Christmas spirit coming alive, so perhaps it’s time to divulge a few Zurich and Zug Christmas secrets. Zurich and Zug are beautiful during the Christmas period with Christmas markets, concerts, sunday sales and night shopping as well as events like santa swimming and advent concerts so I thought I would give you a little run down. Christmas market in the Niederdorf : The oldest Christmas market in Zurich is held every year in the “lower village” in old town. The market stalls are located next to central Niederdorfstrasse. The Christmas market during advent season is a must in this picture perfect location of cobbled streets, even if it’s just a stroll to see all the market stands and to taste the mulled wine. Opening times: 24th November – 23rd December. Christkindlimarkt in Central Station: This is one of the largest indoor Christmas markets in Europe. Over 150 stalls, mulled wine and a 15-meter-high Christmas tree decorated in Swarovski crystals transform Zurich main station to a winter wonderland. Christmas Carols Tree and Market: The market at Werdmuhleplatz is the youngest market in the city. On a beautifully decorated stage in the form of a Christmas tree daily evening concerts from choirs from the region make it feel like Christmas every day. Again this is a market not to be missed. 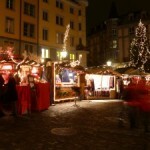 Zurich Christmas Market Bellevue –This fabulous Christmas market has over 100 stalls and is located right in front of the Opera House in Bellevue. 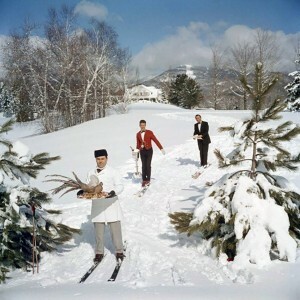 What makes this market so special is the ice skating rink in front of the Opera house and the fondue Stübli in the Chalet by the Christmas tree. Christmas lights and Night Shopping: On the 24th November the pre-Christmas shopping starts with the switching on of the Christmas lights at Bahnhofstrasse at 18.00 and then night shopping till 22.00. Night shopping should not be missed on the 24th as many shops have festive events either inside or outside which include free mulled wine, concerts and other festive events. Sunday, 18 December, 2016: 11.00am – 6.00pm. 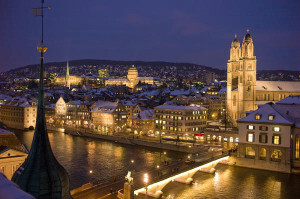 Unique events make Christmas magical in Zurich. There are Christmas events on almost every day from the 17th November till the New Year. At the Zurich Opera house, there is a free concert every day at 17.30 for 15 minutes. Its free to watch and they sing both well and lesser known music to get everyone in the Christmas spirit. For those who like to keep fit (and stave off the effects of the mince pies) before the festive season really starts this is the perfect event. A traditional fun run though the old town of Zurich. Various distances ranging from 1.4 to 8.6 km are available. Christmas Nativity: 25th November to 8th January. Klausmarkt mit Kinderattraktion: With over 70 stands and entertainment for the kids this is a great market to visit in Zug. Its on for 1 day on the 27th of November from 09.00 to 18.00 at Landsgemeindeplatz, Zug. Einsiedein Market: Even though it’s not in Zug, this market is the biggest in central Switzerland. Its located right by the monastery and with amazing decorations, Christmas carols, market stands and so much more, this is best authentic market in Switzerland and is set in such a stunning location. 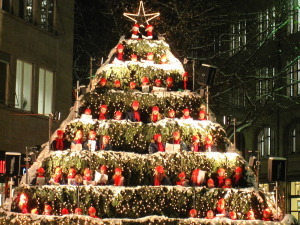 This is an enchanting Christmas event for all ages in Zug. Zug’s old town is turned into a wonderland for a day with fairies, storytellers, magicians, witches and Gnomes. There are pony rides, refreshments, delightful food treats, fair ground rides, live music and much much more. 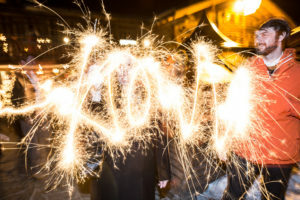 The event comes to a climax at 17.30pm when the St. Nicholases convene with the cowbell ringers, whip crackers, jesters, magicians and fairy tale figures at the Landesgemeindeplatz to bring Fairy tale Sunday to a close with a spectacular fireworks display. Posted in Allow Me, Christmas, Clients, Concerts, Concierge, Drinks parties, Eating out, Events, Expats, Holidays, Lifestyle Management, Mountains, News, Parties, Services, Skiing, Snow, Uncategorized, Weekend breaks, Winter and tagged advent, Allow Me services, christmas events, christmas help, christmas markets, christmas shopping, christmas zurich, clients, concierge Zug, Concierge Zurich, corporate christmas parties, corporate clients, festive fun, help with Christmas, lifestyle management Zug, lifestyle management Zurich, santa, Santa is coming, vip concierge, vip lifestyle management services, zug, Zug christmas, Zug Christmas markets, zurich, Zurich Christmas markets.